Games for Change announced yesterday its second installment of the G4C Industry Circle series to be held Sept. 17, when Filament Games will share a case study evaluating the impact of their Serious Game Backyard Engineers. Hear even more about how Filament makes learning games and measures their results at the upcoming Google Hangout on September 17 at 2 p.m. EST. Michele Huppert, seventh-grade STREAM (science, technology, reading, engineering, arts, and math) teacher at Spring Valley Middle School in Wisconsin, incorporated Backyard Engineers into her classroom activities. 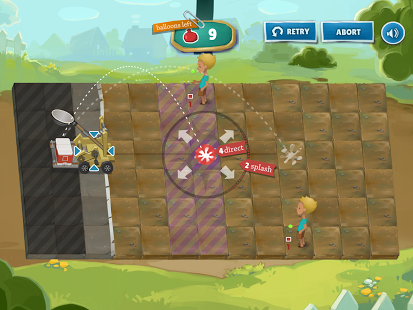 Backyard Engineers is an engineering learning game aligned to middle-school science standards, where players must customize different catapult elements in order to manipulate movement, accuracy, and range. In order to bring the advantages of game-based learning into the classroom, Backyard Engineers was incorporated into an interdisciplinary unit tied to Next Generation Science Standards. Google Forms were utilized to create both pre- and post- tests for the 63 students in this case study. All of the students received access to Backyard Engineers and played the game on designated lab days. The game reinforced concepts that the students were learning during their classroom lessons and activities. Concepts included catapult criteria and constraints, structural design, forces, velocity and acceleration, and work and energy. Backyard Engineers is an online game that helps players think like engineers as they design their own homemade catapults: players experiment with physics concepts and manipulate several catapult components -- such as gear ratios, arm lengths, and building materials -- in their quest to design the ultimate water balloon launcher. It's easy enough to jump in, with helpful tutorials and extra instructional text throughout. The game utilizes a mostly visual interface to help players make and iterate their catapults, thus eliminating the need of “numerical hoops” to play the game. By customizing different mechanical elements of the catapult, students can manipulate movement, accuracy, range, and damage to drench even the most evasive of targets. Each level of the game is a unique puzzle that challenges players to experiment with engineering solutions and find the best way to soak their neighbors! The game was designed from the ground up around meaningful learning objectives that inform the gameplay mechanics. Standards-based curriculum and a progress reporting dashboard are included with the game to help teachers make the most of this engaging learning experience in their classrooms. The second challenge was finding a way to teach engineering to the students. Engineering is a subject that relies heavily on information from math and statistics, and the designer wanted to make sure that players would not have to jump through numerical hoops to play the game. By eliminating this element, players could solely focus on the engineering process. To do this, the game heavily visualizes the iteration methods. Players can make immediate changes to their catapult and immediately test their design to see how decisions they make affect mechanical output. The designer belief was that once students have mastered the engineering process, they would be able to add in the math and science that applies.